No place on the planet is safe from natural disasters. Whether it’s a hurricane or an earthquake, you need to be prepared if you want to survive and stay secure. This is probably one of the most important steps in this list. A sound plan takes away the guesswork and prevents you from getting sidelined by unexpected circumstances. Once something comes up, you will immediately be able to jump into action instead of wondering what to do. In creating a plan, take note of your immediate needs. These would include valuable information like emergency contact numbers and your family members’ contact details. Shelter and evacuation plans also fall under this category. Plan routes that will allow you to quickly and safely get to your destination, as well as how you’ll get there. To make your plan more foolproof, think of possible issues that might come up and prepare for them, too. Ask yourself: What do I do if an emergency comes up and my car won’t start or my family isn’t together? Plan possible meeting points, as well as methods to communicate with each other. It never hurts to have a plan B or C at the ready. Some calamities may leave you with no choice but to stay at home for a certain period of time. You will need a supply of food, water, and other essentials to survive. If you are staying at home, gather enough food and water to last for at least three days. It’s great to have variety, so your stock can have fruits, vegetables, cereals, canned goods, and meats, but be sure they don’t spoil fast. While you’re at it, gather supplies you will need to prepare your food. A portable propane unit, a simple barbecue, some charcoal, matches, and cooking containers will be a big help. Make sure you have sources of light, such as battery-operated lamps and lanterns. Another thing you must never forget to pack is an emergency kit. This should contain basic supplies you might need, such as bandages, scissors, antiseptics, and others. If you can, make sure you have basic toiletries and items for personal hygiene. When SHTF, you would still need to keep yourself clean to prevent common diseases. 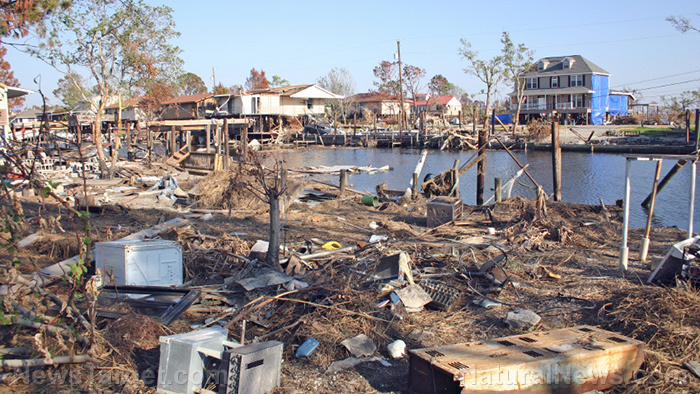 Personal documents, such as birth certificates, insurance policies, and proofs of identification are very vulnerable to water damage, particularly during hurricanes. Because of this, it’s best to place them inside waterproof and watertight containers that you can easily carry out of your home when the need arises. This will also reduce the risk of your documents getting lost. If you have valuable items, making sure you have a gun and extra ammo will offer a significant amount of protection and deter people with malicious intents. It’s said that experience is the best teacher, but this is one of those times when you wouldn’t want to learn your lesson the hard way. Practice your contingency measures with your family members to ensure that all of you know what needs to be done when SHTF. You can ask your family to imagine that a calamity has hit. Teach them how to behave in the event of an earthquake, for example – where they’re going to hide, where they’ll go, or how they’ll exit your home when needed. It may not seem like much, but having a little bit of practice is a big step towards safety. Learn how to survive natural calamities at Survival.news.